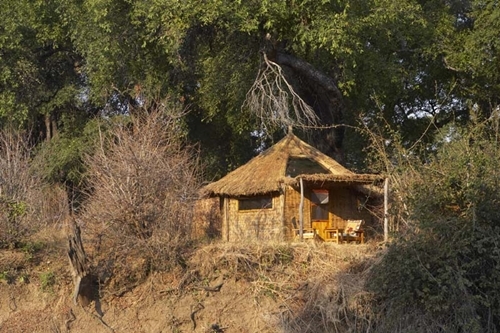 Mwamba Bush Camp is set in a remote position in the South Luangwa, and is on the banks of the Mwamba River, a tributary of the Luangwa. Mwamba is set under huge evergreen ebony trees, making for shady views of water-holes, both of which have hides perched over them, allowing for some exceptional photographic opportunities. Accommodation at Mwamba Bush Camp is in 3 reed and thatch chalets, uniquely designed with two soaring skylights (protected by mosquito gauze) set into the roof, which allows you to experience sleeping under the stars. 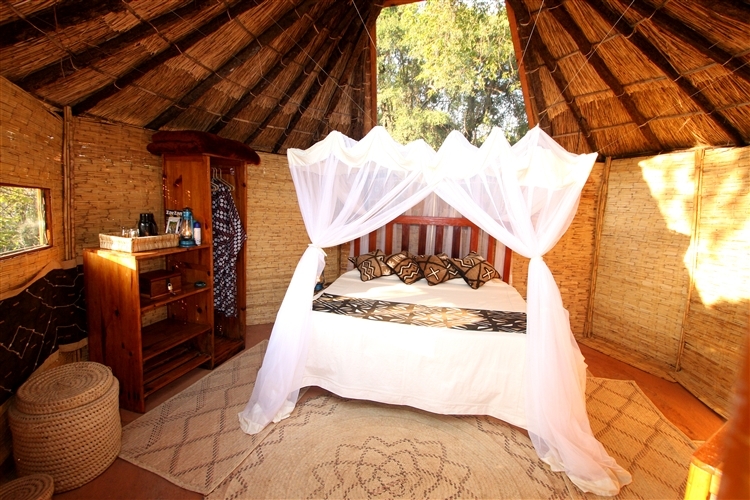 Each chalet boasts large outdoor en suite bathrooms with flush toilets and hot bucket showers. 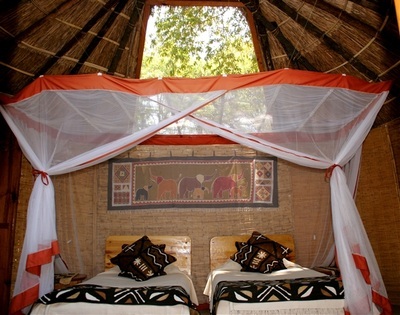 As the lighting is solar powered, there is an absence of generator noise, leaving just the sounds of nature. Meals of an excellent standard, and the dining and bar area or “chitenge” is set under the deep shade of huge ebony trees, which are entwined with python vines. 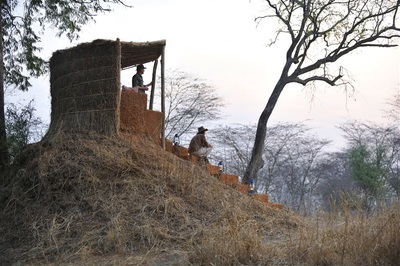 Mwamba also boasts a wonderful sundowner spot set on top of a large termite mound; allied with a glowing campfire under the night sky really adds to the Camp’s friendly and personal atmosphere. 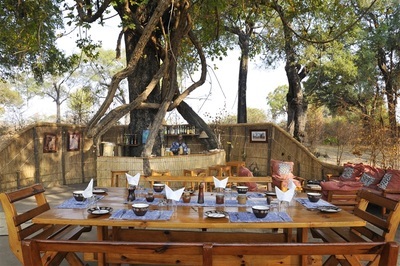 Elephants are never far away at Mwamba, and they are particularly fond of the tamarind and ebony fruit within the camp. There are two resident hippo in the waterholes that graze on the river bank at night. 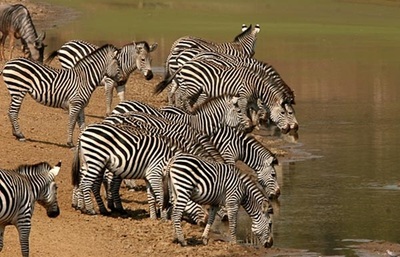 The game around Mwamba Bush Camp is excellent, and includes herds of buffalo, zebra, eland and, in particular, the endemic Cookson’s wildebeest. They are followed and hunted by the “Mwamba” lion pride. You can also experience excellent leopard sightings; and good numbers impala and puku in the open glades around camp. 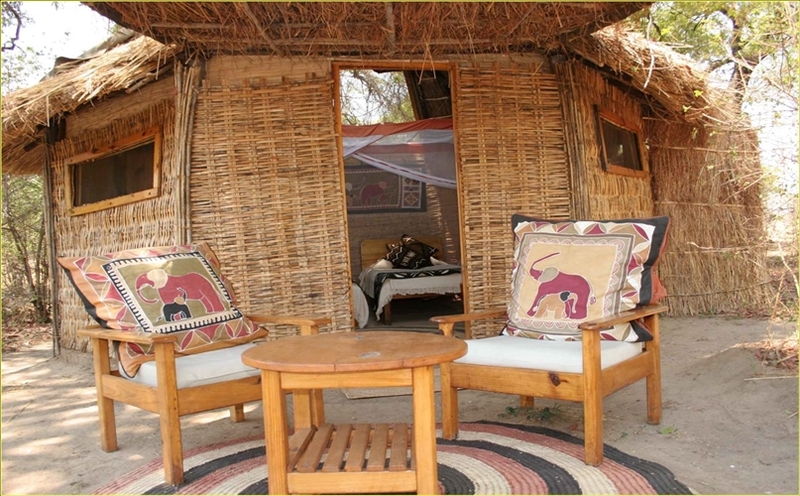 At Mwamba guests are offered 3 separate game-viewing activities a day, and you can choose from walking safaris, game drives or time spent at a hide or blind (normally at midday). 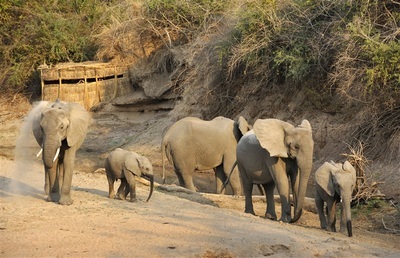 Mwamba is in an excellent walking area too, as the land varies greatly from wide open plains such as Lion Plain and Eland Plain, interspersed by shady Mopane/crocodile bark woodland with short grass (interspersed with waterholes and lagoons), and bordered by Combretum thickets along the Mwamba river. All activities are optional, as may prefer to stay in camp just to enjoy the comings and goings of the local wildlife. You might also be interested in a Kaingo/Mwamba combination – where you get to enjoy the unique environs and character of these wonderful sister camps, just a 3 hour gentle walk from each other. The journey between the two camps is either a walking safari, or morning drive, filled with an abundance of game and interesting landmarks.